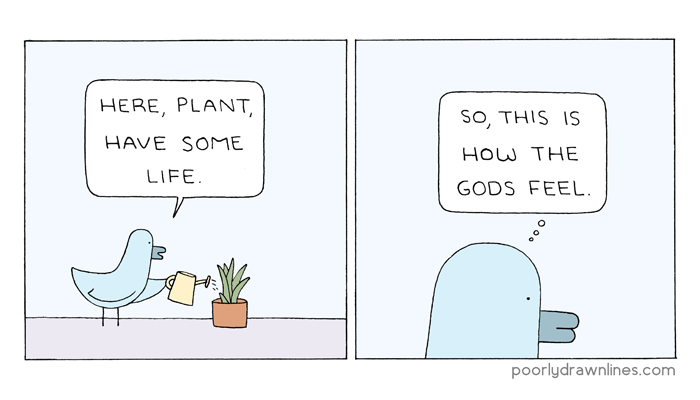 From Poorly Drawn Lines comes this god-like summation of the truth about houseplants. 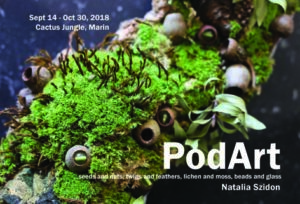 Our PodArt Art Show, by Natalia Szidon, has been extended thru the end of the year! Here’s the original postcard, but you can ignore the end date – it’s been extended! 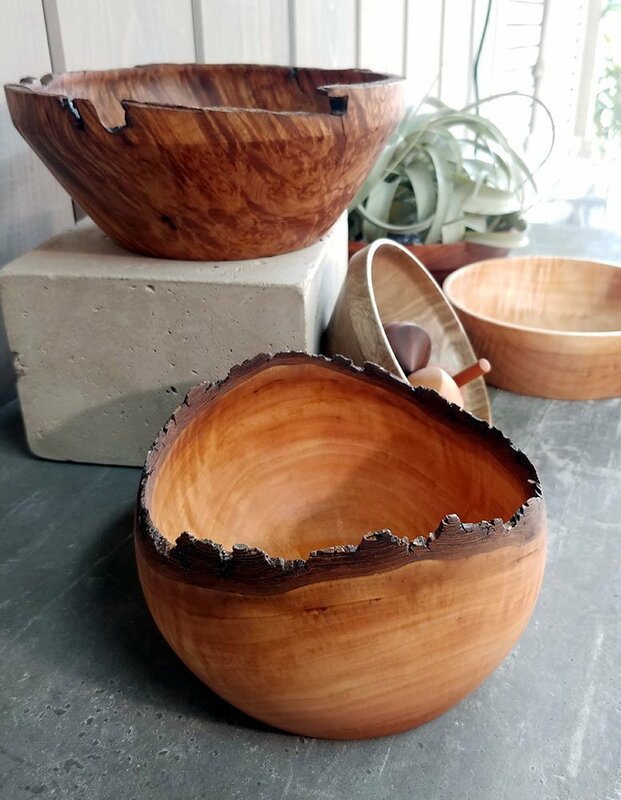 Hand turned wood bowls from local artist Mike Newlin, Nov. 16 – Dec. 24, 2018 at our Marin store in San Anselmo. Fun and snacks and drinks and wood bowls for everyone! 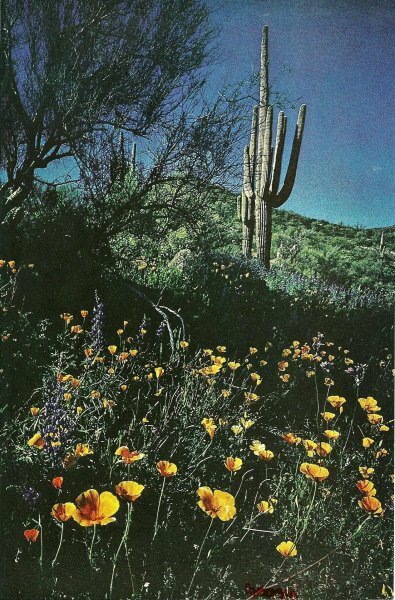 From National Geographic, it’s a Vintage Saguaro! We get press releases! So we can heartily recommend a visit to Santa Monica, where I used to go to school, and while you’re there there’s a Happy Cactus! Also, don’t forget to visit Abbott Kinney in Venice. 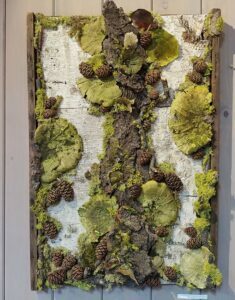 I’ve attached a photo of a new piece coming to Daniel Rolnik Gallery by Tripper Dungan of a happy cactus. It would be epic if you could share it on your blog. The show, “Pacific & Northwest” opens on July 18th. 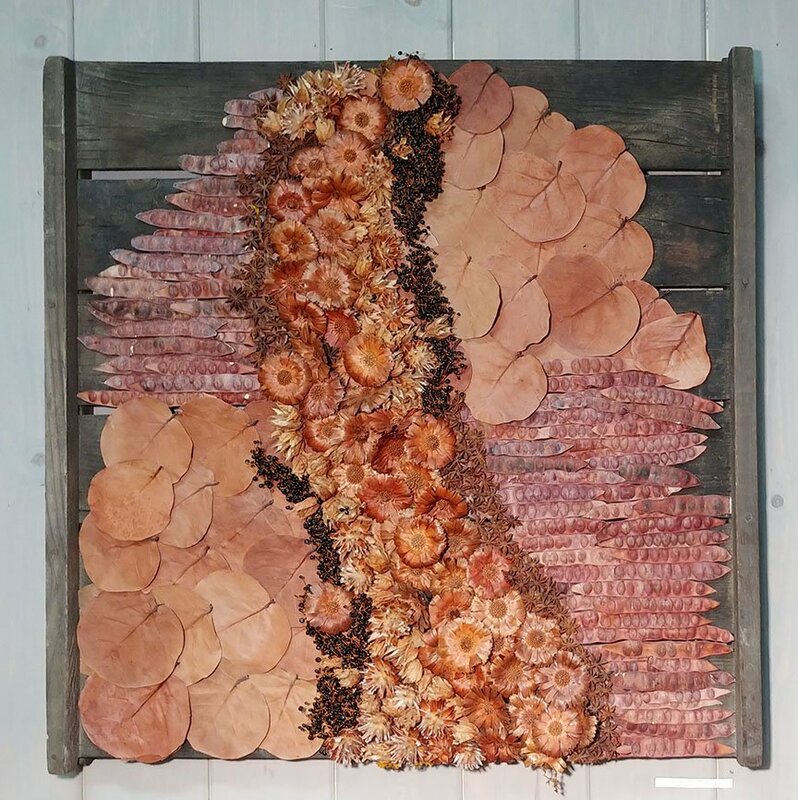 Evelyn G. shared her cactus art with us from her instagram. She wants a cactus that will stay short, have big arms, no spines, and lots of blooms. Nice! If you can’t see the picture, click the link below the picture and it will take you to the Instagrams. 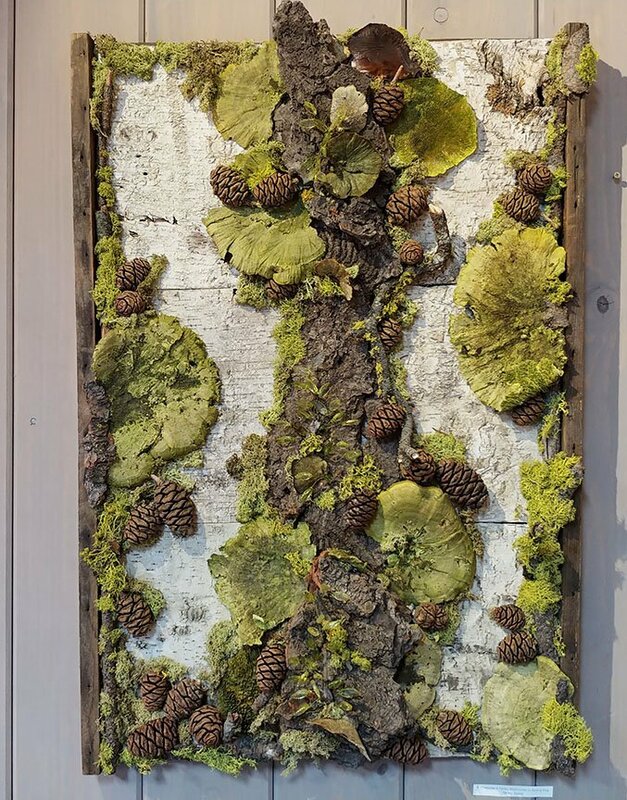 Large concrete and moss sculpture by Mineo Mizuno at the Samuel Freeman Gallery in Santa Monica. 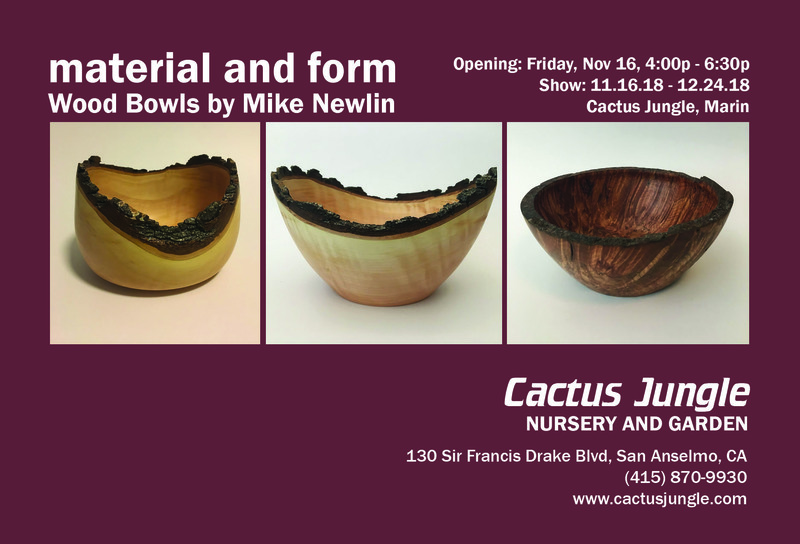 The show is from a few years ago, so you won’t be able to see them in person, but you can visit the website and see more. THE ARK from ANTIVJ is a visual label on Vimeo. It’s a 4pack of Echeverias. Why? How? Where? I don’t know and I don’t want to know. It just happened this way and that’s all there is to it. Enjoy a 4pack of Sempervivums to go with your Football today. Is it art? Is it a cactus? Is it a bird-flipping? RIVERTON – Maybe it’s a hand flipping the bird – or it could be a cactus. For three families, it’s just another dispute in a yearlong battle over a house being built along Reeves Lane in this southwest Salt Lake Valley community. Owner Darren Wood described the vent covering placed Monday as decorative “abstract art” and a “cactus.” But his neighbors uphill say it’s a hand flipping them off. “This kind of shows the attitude that we’ve been dealing with all along,” said Stan Torgersen, who added that the gesture is visible from every window on the back of his house…. That was an old article, from 2006, as seen on Balloon Juice for some reason. Who knew that if you attached some balloons to a Beavertail Cactus you could sell tickets to it. (In) Rodney Graham’s latest exhibition at Lisson Gallery (29 Bell Street, London, UK),… Cactus Fan depicts a scientist pondering a strange object, perhaps a gift: a cactus plant with four vibrantly coloured helium balloons attached to it. I’m guessing that what we have a here is a scientist, or more specifically a botanist, who is experimenting with the effects of weightlessness in outer-space on the growth habits of a common cactus. However this particular scientist does not have the budget to complete the experiment in space, so instead we get balloons. The helium will have dissipated in a day or two, so the scientist in question must constantly remain on vigil and replace these balloons quickly and efficiently multiple times per week. Cactus as a part of the traditional Dia de los Muertos celebration? Well it’s not traditional, but you might as well check it out from the Smith & Jones Museum of Folk Art. You can tell it’s not traditional since those little cactus candles are modern candles – in fact they’re the same ones we sell! In case you were wondering, here’s a more traditional Day of the Dead altar. Between moving, parents visiting, PA pals sleeping in my kitchen, quitting my job, getting some hands on organic culinary training and roommates moving from PA to our new awesome home in Oakland I’ve gotten quite behind. warm up drawing to get back in the swing. Succulent Joseph. Went to the de Young on my day off. I can recommend you go for the Jean Paul Gaultier exhibit, but stay for the murals. While working on a new T-Shirt design I came upon some old photos. My botanical photo style has changed a lot over the years. Here’s one from 10 years ago. I was more experimental back then. I took the picture with film, printed out a contact strip and then scanned the picture as hi-res as I could. It has a certain feel to it. From National Geographic, I see the Giraffe has made it all the way to Machu Picchu. But where is that giraffe hiding? There are so many walls there to hide behind… We better get to looking or we’ll lose the scent. Wow! That’s a really, really big base around that tree! Holy smokes it must take the giraffe a week just to walk around to the back side where it’s family is enjoying a light snack of croissants and decaf Sumatran coffee at the Starbucks. Better get going before it’s dark. Giraffes? Yes, We Have Giraffes. Why Do You Ask? It’s been a long hot day at the Safari and I see our photographer has followed a beautiful specimen giraffe into it’s most private lair, practically a classic lair indeed. The Hotel Humphreys in Hatari has been built out of beautiful and long-lasting materials. Our giraffe today is not happy about being disturbed right after a refreshing shower. 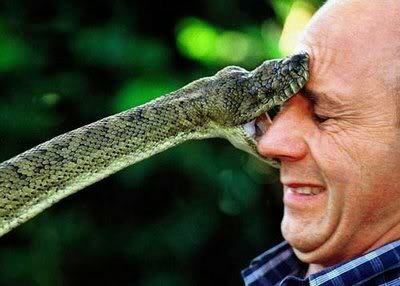 I think the photographer should probably back away quickly or he will surely receive a nasty nip on the top of his head. Run! Run away! Quickly! What’s this? Our famed traveling giraffes of Africa have made it to the Canary Islands? How so? Have they learned how to fashion rudimentary boats out of hollow logs and bark? What have they used for sails? Let us set aside the mystery and revel in the quanternary of the fliggishness of this particular giraffe. Do you think I’ve lost the thread of this “art” project when I resort to making up words? No? OK then let me continue. This individual giraffe has clearly walked across many deserts dragging a canoe along behind so that it could cross the Mediterranean Sea and land on the famed giant coastal cliff succulents of the Canary Islands. Don’t these adorable and stately giraffes know that they can visit the Aeonium Gardens of Tripoli on the African Continent itself? Have they no proper guidebooks? The cascading shade provided by the giant tree mesembs of Western East Central South Africa are the classic watering hole respite for the majestic giraffe of the plains of Africa. Right around the corner is the outdoor mezzanine of the famed Firgatout Restaurant where the locals mix with the tourists before heading out on safari. Hopefully no one will be taken down by the rampaging band of angry elephants today, like yesterday. Hopefully the pachyderms ruling the countryside will remain quiet throughout the afternoon so that everyone can enjoy a nice iced tea under the shade of the Mesemb Trees of Western East Central South Africa. The African savannah is a harsh and foreboding place. Giant thick trees grow so tall even the giraffes can’t reach to the leaves. What will they eat? How will they survive? Look out! There’s a lion over there! The concept of this new art series of photographs is to present a contrast in scales to make you rethink your vision of the scale and meaning of succulents. For instance, I may say that a particular succulent is 6″ across, and you would believe me, now wouldn’t you. Admit it. But what if I showed you a picture of that same succulent, but with a giraffe in the picture. Now then what would you think? Why you’d first think that succulent was 12ft. across! And then if you looked closely enough you might question the full scale and scope of the giraffe in the picture. You might think it was properly photoshopped into the job, or you might think it’s a gigantic toy giraffe or you might even realize that it’s playful nature has been fully realized in this wonderful portrait. My new Giraffe series starts on the blog… right…. now!